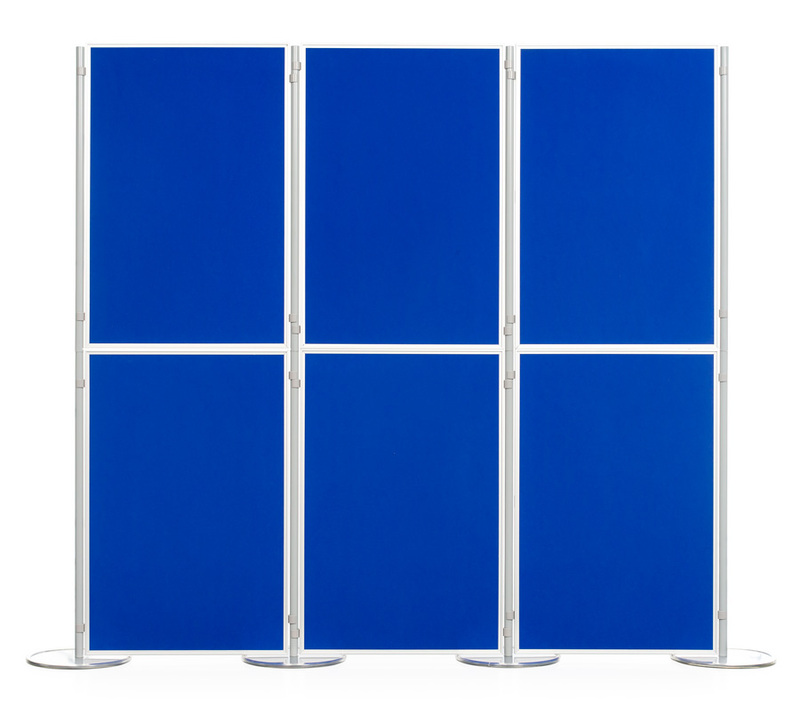 Flexible, lightweight and portable this modular display system is easy to use and is ideal for schools and colleges for any kind of information or art display. 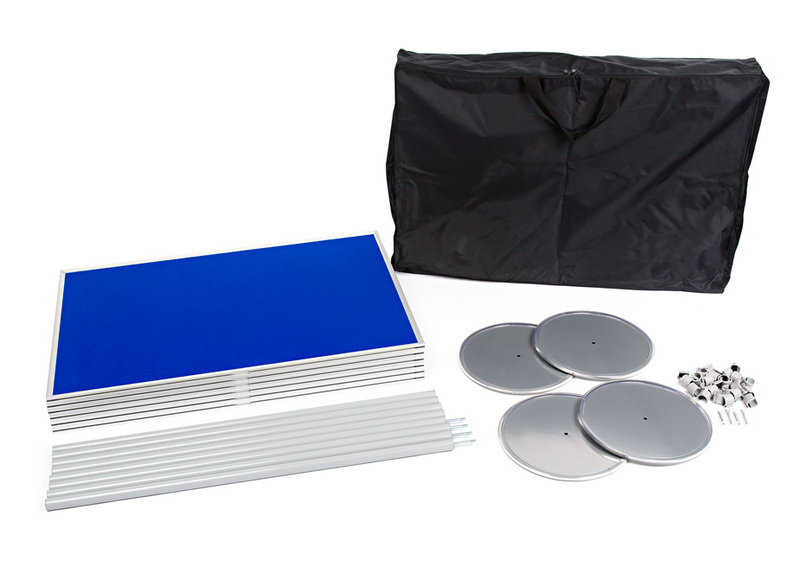 You are able to reconfigure this display kit to suit your display requirements. It can be used single or double sided and can also be used in either a landscape or portrait orientation, giving you ultimate flexibility. Clips are slotted on to the poles and the panels are just clipped on, simple to use and easy to assemble, no tools required. The clips are non-slip so your panels are clipped securely in place. The aluminium poles are 25mm in diameter and the steel rounded feet 300mm in diameter and come with a plastic edge ring for non-slip and to prevent any scratches. Each panel is 600mm wide and 900mm high. 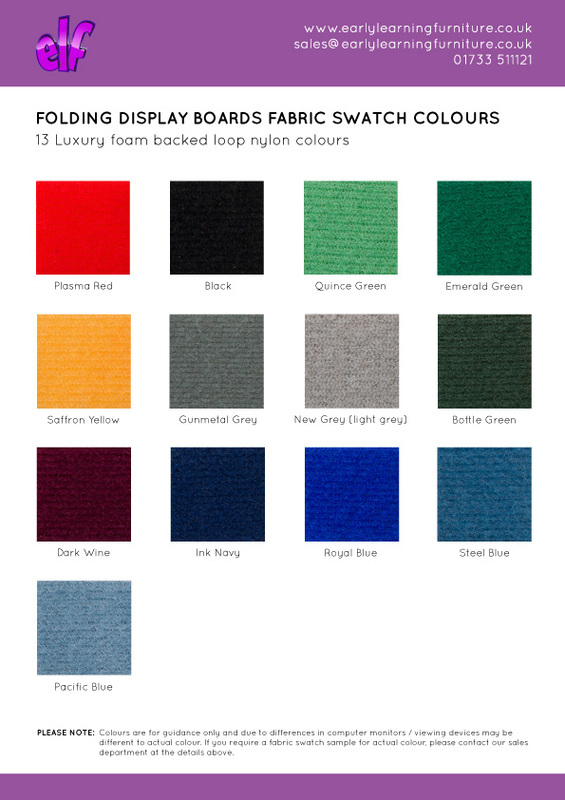 Finished off with a lightweight aluminium frame, each panel is covered with quality luxury loop nylon which is Velcro-friendly. 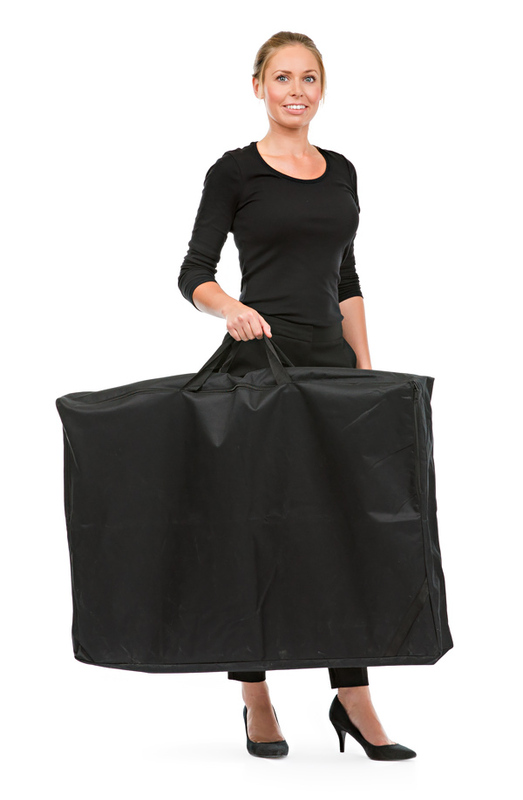 This portable system comes complete with a carry bag for panels and separate base bag for easy storage and transportation. 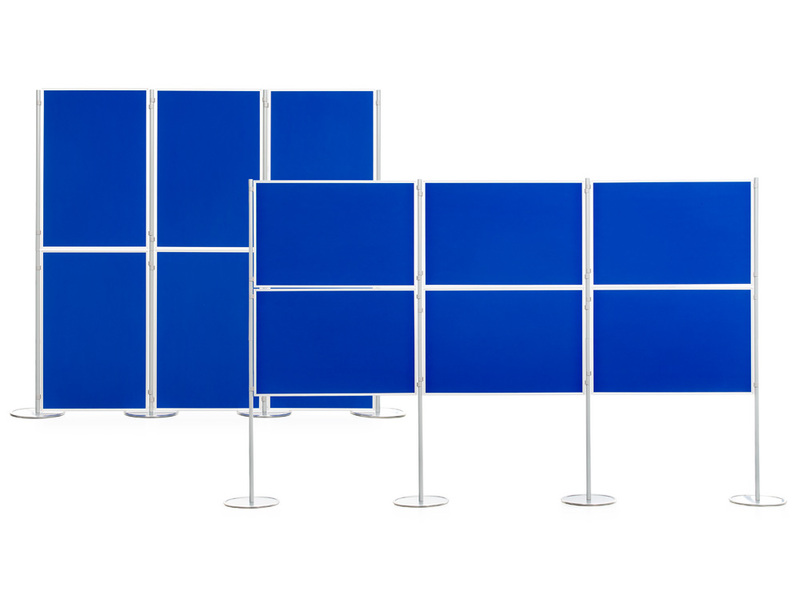 An ideal display solution for schools, colleges, open days and art exhibitions. 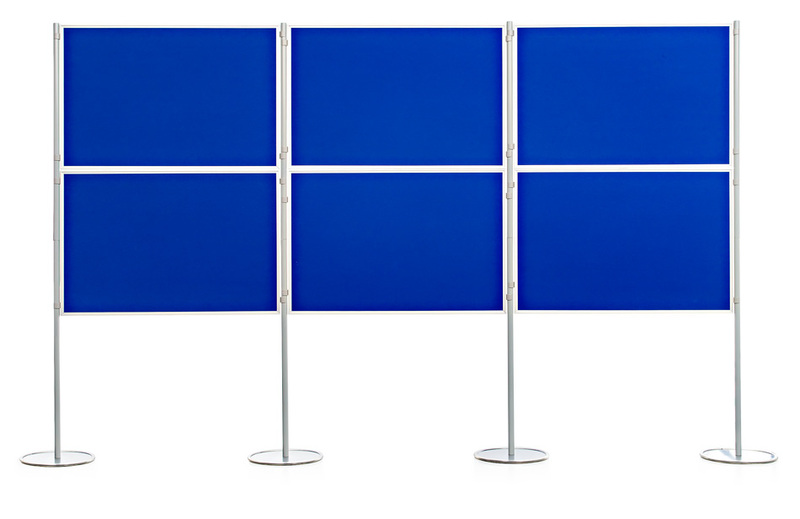 See our full range of display boards. For more information please Contact Us or call us on 01733 511121.